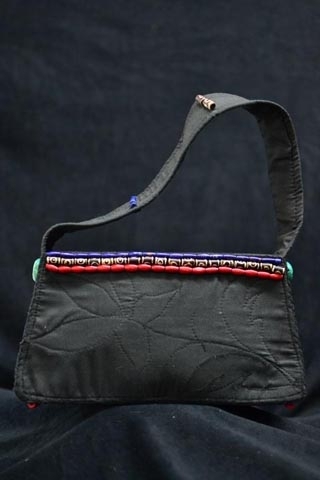 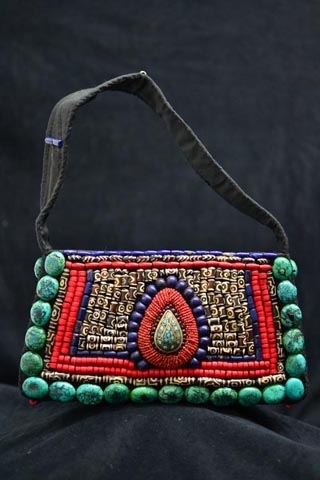 This bag is handcrafted by artisans in the Himalayas. 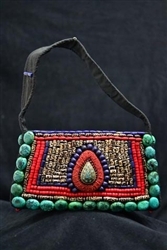 It features a turquoise emblem in the center, with surrounding Dzi beads and array of other stones. 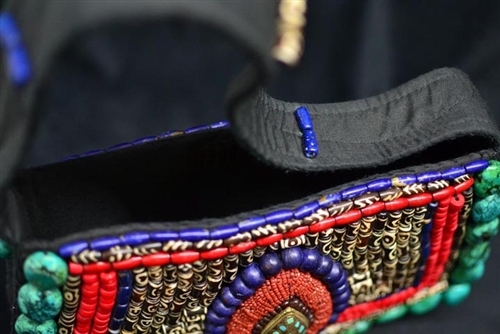 Dzi beads are known to be auspicious in the Tibetan culture, bringing good luck to those who wear it.